We all know there are lots of health issues that can arise because you use tobacco products. It can affect lots of different areas in the body, from head to toe. The harmful effects of smoking on respiratory and cardiac health are well known, but if you’re a smoker, we want to make sure that you’re aware that smoking can also affect your oral health. Smoking can be catastrophic to your teeth, gums and mouth. The Centers for Disease Control and Prevention found that nearly half of American adults that are 30 years old or older have or have had gum disease at some point. The same study reported that more than 64 percent of smokers suffered from periodontal disease, which is an inflammation of the gums that can lead to the loss of the tissues that hold your teeth in place. 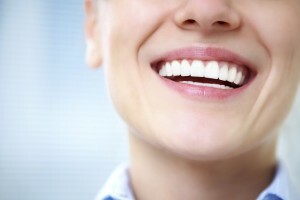 Safe to say gum disease is a common ailment for many people. Smoking doesn’t just stain your teeth, in time it can rob you of them. The appearance of stained teeth is unpleasant enough on its own, because the nicotine and tar found in tobacco turns the teeth from their natural white to yellow and eventually brown. Long-term smoking can even result in tooth loss. And despite what tobacco company ads may portray, having teeth is far more attractive than having a cigarette in your mouth! Bad breath is one nasty by-product of smoking that can cause awkward implications for your social life, but the ramifications for your overall oral health can be much worse: Smoking is one of the primary causes of mouth cancer, and it can be fatal. According to the Dental Health Foundation, smoking or chewing tobacco causes between 80 to 90 percent of oral cancers. If you feel smoking has become an issue, contact Dr. Rosenbuch at (561) 394-7888 or visit our website at www.cliverosenbuschdds.com. Dr. Rosenbusch proudly serves Boca Raton, Del Rey Beach, Deerfield Beach, Coral Springs, Boynton, Ft. Lauderdale and all surrounding areas.